Not a member yet?Sign up! Forgot your password? Enter your email address below and we'll help you reset your password. Nothing is more iconic than the Japanese school uniform, instantly recognizable across the globe for soft pleating, structured blazers and blouses, and feminine bow tie detailing. Most commonly worn in classic colors such as navy, red, black, and white, there are many signature styles associated with the trend. So whether you’re looking for a school uniform or looking to have fun playing dress-up, this collection of sailor-inspired uniforms is what you need. 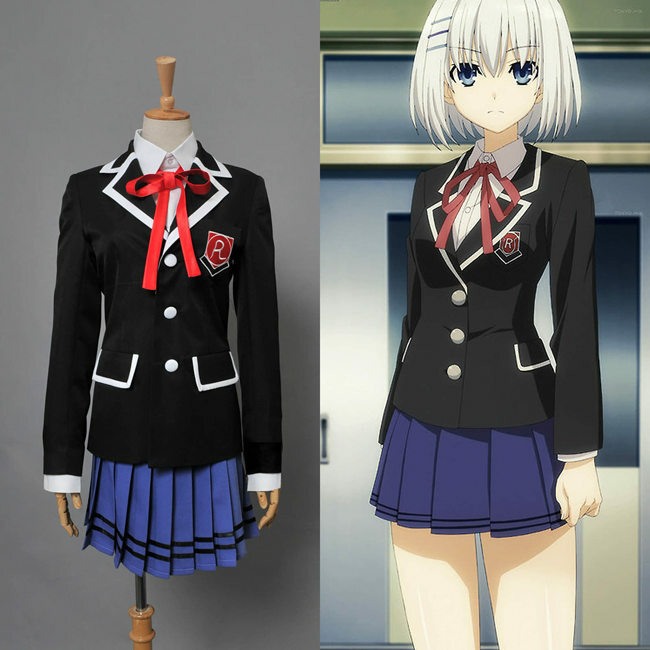 Whether you’re in need of a uniform for class or cosplay, this reasonably priced blazer and skirt combo is a must-have. 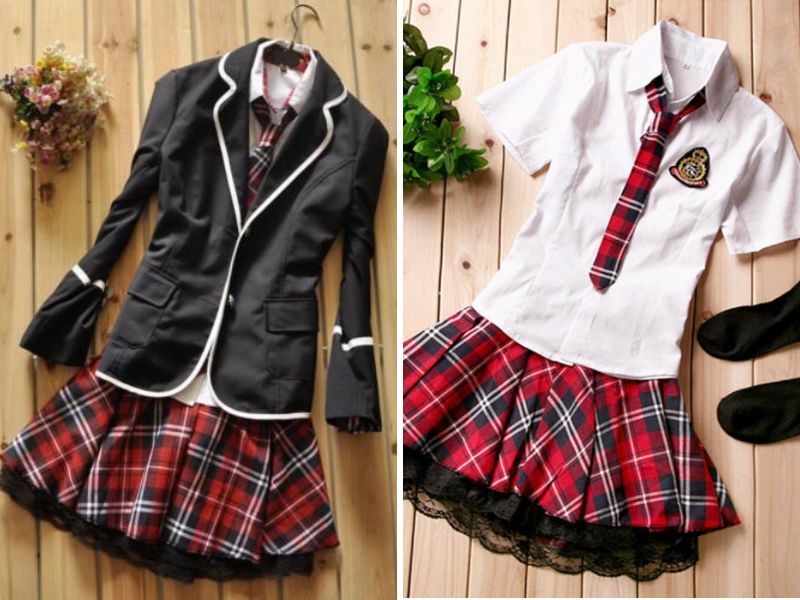 Featuring a black blazer with white piping on the lapels, brass buttons, and side pockets, as well as a tartan-inspired mini skirt in red, white, and black plaid, this sensible ensemble looks more like an authentic school uniform than a costume, but it’s perfect for both! Hit the books with this stylish Japanese uniform coat set. 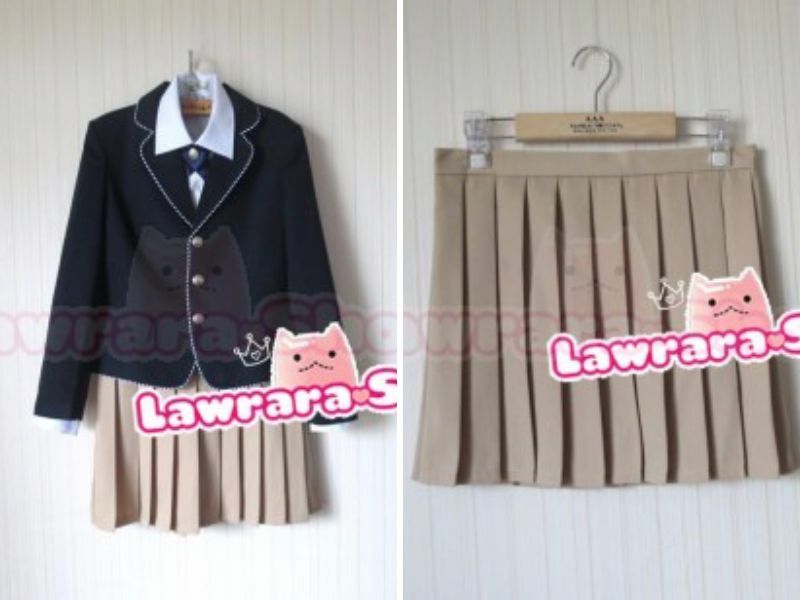 With a traditional pleated skirt in beige and navy blue blazer with white piped stitching and brass buttons, this uniform evokes some of the most popular Japanese school girl styles. Appropriate for middle schoolers to high school students, this uniform is one of our faves. Channel your inner sailor in this demure sailor-suit school uniform perfect for spring and summer. In a bright and bold red hue, this is at the top of our list of Japanese school uniforms. 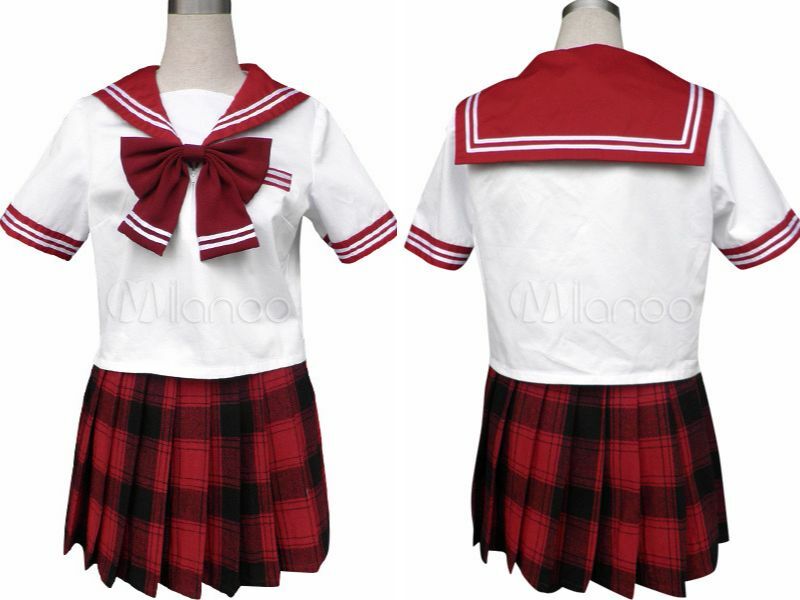 Featuring a white shirt with red striped detailing and bow, along with a plaid red and black pleated mini shirt, this uniform can be easily paired with knee-high socks and black loafers for an all-out naval look. Opt for this sweater choice for brisk fall mornings. This classical Japanese uniform features a pleated navy mini skirt with white stripes at the hem and a beige pullover sweater. Wear over a traditional white button-down and matching navy bow at the neck for instant preppy style. Its comfort and effortless style makes it one of the best options during the cooler seasons. This sailor-inspired one-piece dress is perfect for school or dress-up. Brass buttons and a red bow adorn this black dress in a classic A-line silhouette. This is a great alternative to the traditional skirt and jacket combination, while still retaining an air of girlish charm. Pair with knee-high socks and matching shoes for a school-ready look that is both girly and demure. 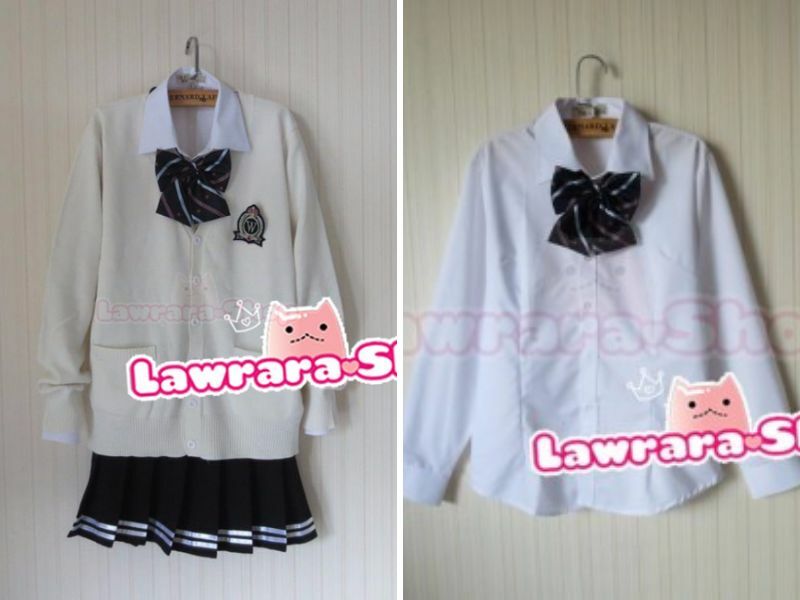 The quality materials and intricate detailing of this Japanese school uniform makes it a true stand-out. Take a twirl in the pleated skirt in brilliant cobalt blue and black stripes at the hem, and throw on the structured black blazer with white detailing and red ribbon. What’s more is that these beautifully hand-crafted uniforms are professionally tailored to your exact measurements for a guaranteed fit. This Matou Sakura costume is perfect for the cosplay lover. Get this entire ensemble — skirt, shirt, vest, and bow-knot—for an incredible price. 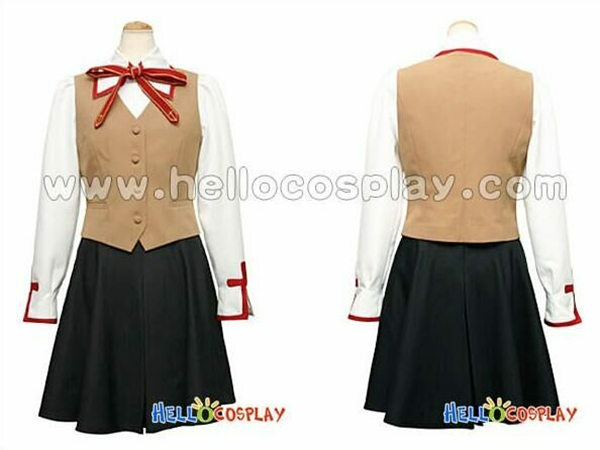 With a lightly flared black skirt, fitted tan blazer, and blouse with red detailing at the cuffs and neckline, this uniform works great as both a costume and school outfit. The soft tan vest is also a fun alternative to the more expected navy/red uniforms available on the market. We love this Eton-jacket uniform for its deep V-neckline vest. In a bright, bold red hue, this vest is sure to make a lasting impression. Wear over a short-sleeved top and pleated black skirt for a studious, yet feminine look. 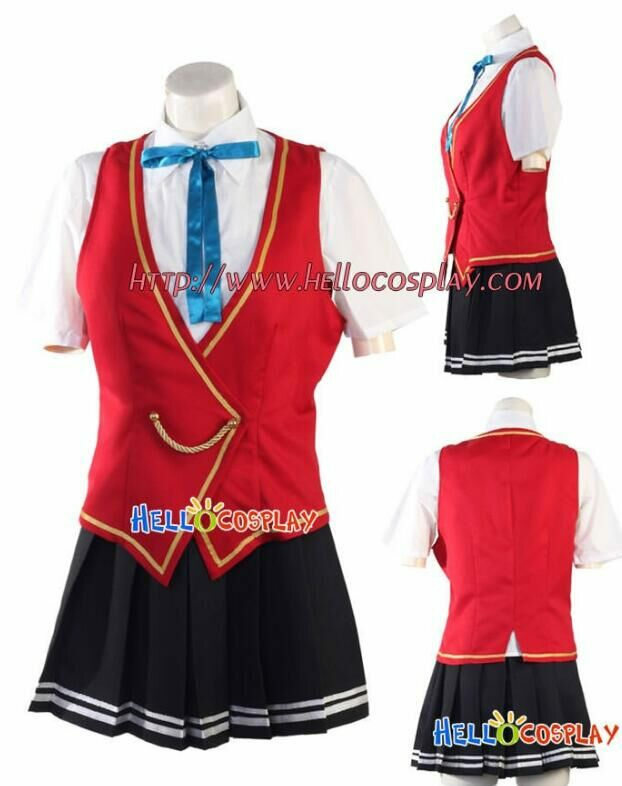 This Japanese school uniform is made from high-quality cotton and polyester, skillfully designed to replicate the uniform from the Fortune Arterial visual novel. You can’t go wrong with it! Perfection lies in every detail. If you are holding a traditional Catholic wedding, you should consider including a Catholic wedding program full mass to your list of to-do items. Here is all what you should know about it. 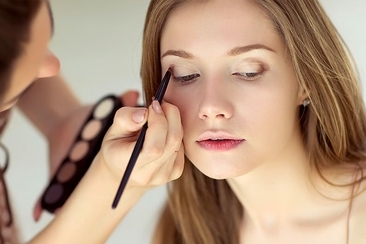 Have you ever wondered how much to tip makeup artist for trial when you’re deciding on your artist for the big day? We’ve got you covered with expert advice. Are you a bride to be? And want to get rid of a traditional wedding gown? 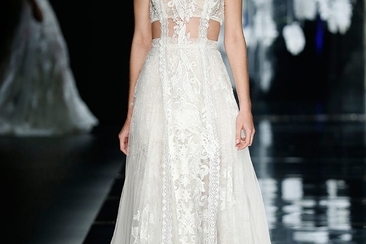 Discover the most trendy nontraditional wedding dress to get a fashion forward bridal look. Are you a bride-to-be looking for the best plus size bridal dress? Here we have scouted out the best curvy wedding dresses, to make you feel like a princess on your big day. Thinking about having your honeymoon somewhere beautiful, warm, and exotic? Seeking a magnificent newlywed adventure? 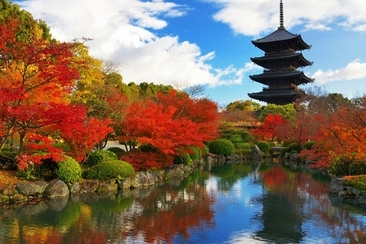 Here are some of the best honeymoon locations in Asia. One wedding dress for ceremony and another for reception? Why not make it easier by opting for a detachable wedding dress? It will save you all the trouble. Plus, it is trendy. All texts are contributed by our excellent writers. Powered by everafterguide.net. Server responsed at: 04/21/2019 11:11 p.m.